No, you're not sleeping- this is real! A keto creation that we believe rivals the original. I'd say pinch me, but.. ow! *Optional: For some extra fat and creaminess, replace 1/2 of the water with heavy whipping cream! Grab your blender and start by putting in your Keto Meal. Add your mint extract, water, and ice. Blend these ingredients until well incorporated. Add in your chocolate chips and pulse until they are reduced to little chip goodies. It is common to daydream while it mixes, just don't let your drool get into the blender. That's gross, dude. 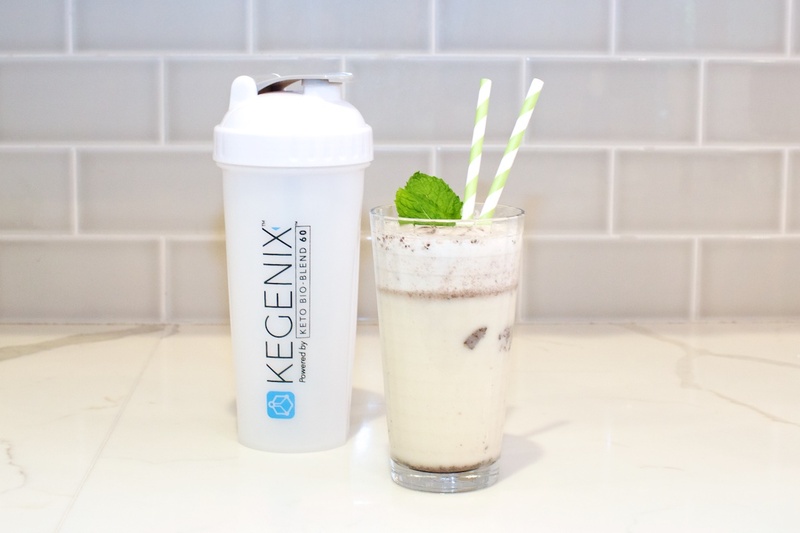 And just like that, you have a Mint Chip Dream Shake. You can thank me later.